At the end of December 2014, Paramount Meadows Nursing Center in Los Angeles County received a Class AA citation, which was accompanied by a $75,000 fine, for the death of one of its residents. The victim, a 66-year-old resident at the facility, had repeatedly complained about pain and diarrhea. She suffered from a bladder infection, but due to inadequate care, she died as a result of the infection. The patient who died as a result of her injuries complained specifically of back pain, side pain, vaginal pain, and pain at the site of the catheter. She eventually became unresponsive due to her infection. Because the facility failed to provide the patient with adequate care, violating some of the laws mentioned above, it was assessed a $75,000 fine. Around the same time, MacLay Healthcare Center, also located in Los Angeles County, received a $75,000 fine and a AA citation due to the death of a female resident. 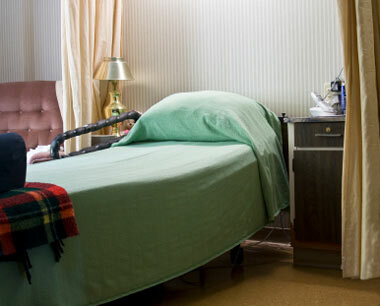 Like the patient at Paramount Meadows, the MacLay patient came to the facility with “a history of urinary tract infections, dehydration, and trouble swallowing.” The staff didn’t properly administer the fluids required by the patient’s nutrition plan, and she died from injuries only 14 days after arriving at the facility. Nursing home abuse and neglect is a serious problem. If you have concerns about an elderly loved one’s safety, it’s very important to speak with an experienced San Diego nursing home abuse lawyer. At the Walton Law Firm, we have been helping elderly clients for years, and we can discuss your options with you today.